Located in Bophut Hills on Koh Samui, one of Thailand’s islands, Villa Baan Kuno is a five bedroom villa with stunning sweeping views of the ocean. You’ll have a relaxing and pleasant stay here at the villa because of its competent and friendly staff, various modern amenities, and airy spaces. The surrounding area also has a lot to offer for those who want to relax by the beach. Come and have a tranquil yet noteworthy experience here at Villa Baan Kuno! Villa Baan Kuno has two master bedrooms located on upper and lower floors that are fitted with plush king size beds, clean en suite bathrooms, and flat screen TVs and DVD players for your viewing pleasure. Both bedrooms also have a private balcony and fantastic views of the ocean beyond and the garden. This makes your experience here even more restful.One of the master bedrooms also has an office space with wifi connection. Both bedrooms will ensure that you have a good night’s rest. You will wake up feeling energized and ready to conquer the exciting day ahead of you. There are three guest bedrooms in Villa Baan Kuno, all of which are clean and comfortable. Each bedroom has different bed configurations: one has a queen size bed, the other has a double bed, and the last one has separate beds. Each comes with an en suite bathroom and airconditioning units.Two of the bedrooms also have private balconies where you can relax in the morning or in the evening while gazing out at the gorgeous view of the sea and surrounding greenery. Villa Baan Kuno has a garden area with outdoor seating and dining, perfect for BBQ parties with friends. On the topmost floor is the gorgeous infinity pool from which you can enjoy the famed panoramic view the villa has to offer. There are a variety of sun loungers on the pool terrace where you can get some sun. In the evening you can lay back and relax under the stars. The living, dining, and kitchen area are all connected in one generous space. Despite this, it doesn’t make the area any less airy and spacious. The kitchen is equipped with all the necessities needed to create delicious meals such as an oven, fridge, grill, electric stove, and more. Behind the kitchen’s breakfast bar is the six seater dining area where good conversations with friends and family can be held. Next to the dining is the living area with its comfortable sofa and TV entertainment. The best part of all is that these living spaces flow out onto the terrace and pool area where you have beautiful views of the ocean and greenery beyond. While the modern and pleasant living spaces and gorgeous panoramic view will already make your vacation an enjoyable one, the villa’s attentive and caring staff is probably the cherry on top. The villa’s chef will cook you scrumptious meals that will make you want to have all of your meals in the villa. On the other hand, the rest of the staff will take care of cleaning, security, and even help you with organizing your schedule for the day. A car for hire can also be arranged should you need one. The staff here at Villa Baan Kuno will strive to make your stay enjoyable and stress free. 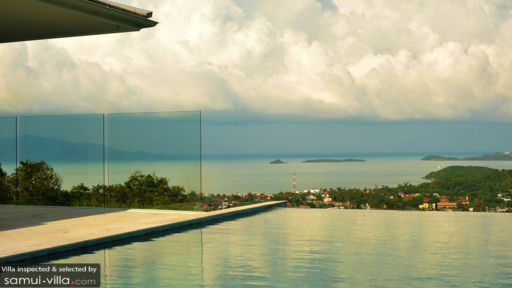 Villa Baan Kuno is located on the island of Koh Samui, Thailand and is only a five minute drive away from Bophut.Bophut is a pleasant seaside area where travellers can explore the charming Fisherman’s Village, with its number of eateries, or hangout by the beach. You can also try different water activities such as diving or water skiing. There are also various tours offered in the area for those who want help exploring the island more. 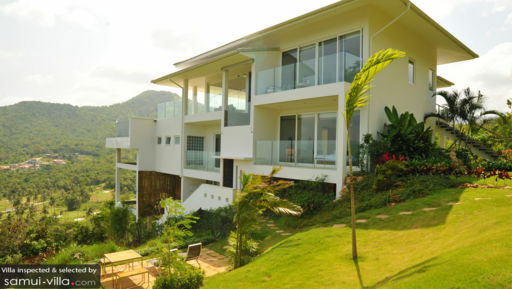 Top of the hill villa overlooking natural valleys of koh samui. Exactly like the pictures. The house was well furnished but what made the entire trip was the staff (Pak and Poncho) were stellar cooks and meticulous cleaners. Jeremy and team were quick to respond and even helped coordinate a engagement proposal for one of our friends. Amazing customer service. Highly recommend. 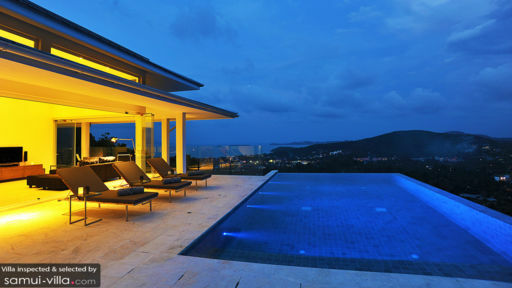 Beautiful villa with an amazing view of Koh Samui. Jeremy and the team were very helpful when it came to organising trips and giving us recommendations for restaurants. Would like to give a big thank you to Pak and her husband for looking after us and cooking an amazing lunch before we left, will definitely be back again! Thanks all!